MONTH LONG RENTAL ONLY!! Tucked into the pines of Lodge Hill, this cozy cottage is a great get-a-way! Come and enjoy great ocean views all the way up the coast: Light House to the Hearst Castle. Near Moonstone Beach and close to Shamel Park in this great month long rental in Park Hill! No pets allowed. Thank you. 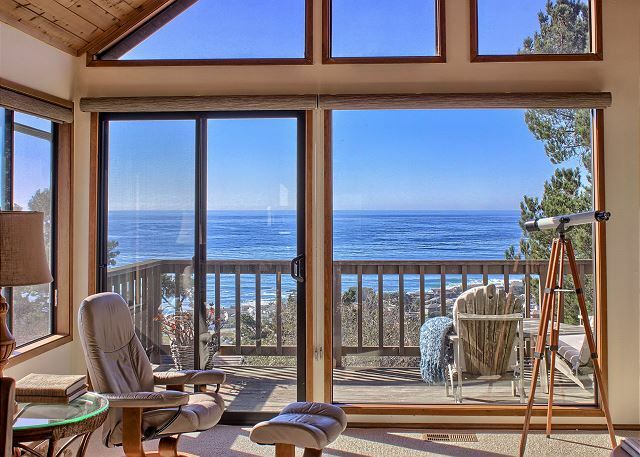 Panoramic Views from the 2 bedroom vacation home. Come spend a month or more at this relaxing, well decorated, quiet location. Wifi, cable, and a cozy fireplace. 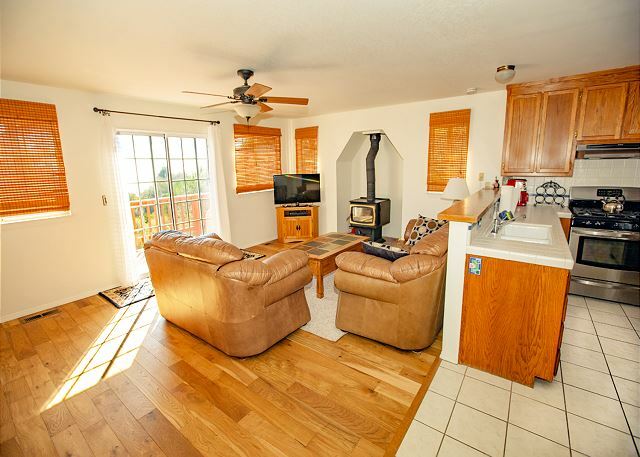 Nottingham Cottage is a 2 Bedroom 2 Bath Oceanfront Home located on Park Hill. Are you looking for the perfect place to escape to and enjoy your month long vacation? Capercallie Cottage is a great way to experience the uniqueness of the central coast. 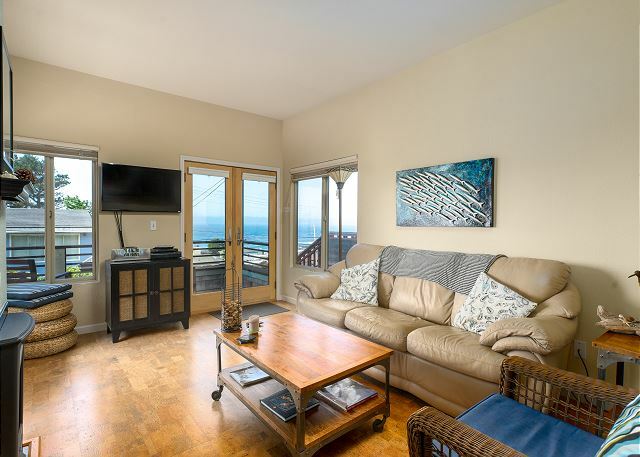 This 2 bedroom 2 bath house is surrounded by a beautiful Monterrey pine forest, with a peak of the ocean to the south west from the living room deck.